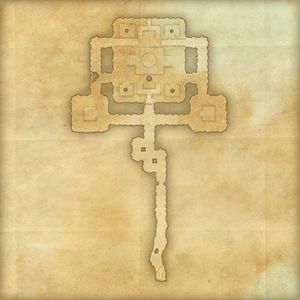 Once the subterranean temple beneath Eidolon's Hollow was one of the holiest sites of Chimer worship of the Good Daedra. 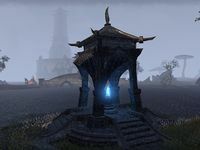 But it was long ago forsaken by the Elves of Morrowind when they turned their devotion to the Living Gods of the Tribunal. 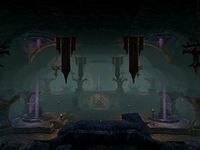 Cave: The cave in Eidolon's Hollow leads to the now-buried Halls of Veneration, where the Chimer of an earlier era worshiped the Daedric Princes heralded as the "Good Daedra" by the Prophet Veloth. 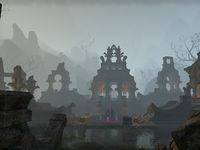 Eidolon's Hollow is a Daedric ruin in northeastern Deshaan. Eidolon's Hollow Objective: Put an end to the threat of Magistrix Vox. 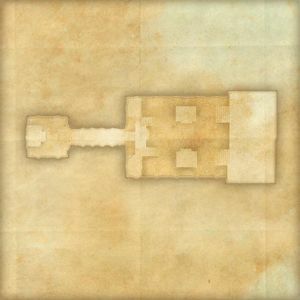 Eidolon's Hollow Wayshrine is located on the shore southwest of the ruin.